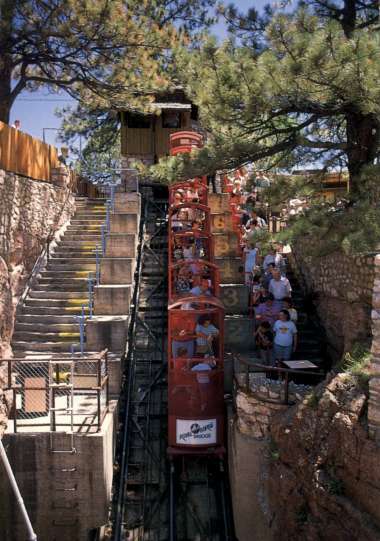 Drive out to C.S. 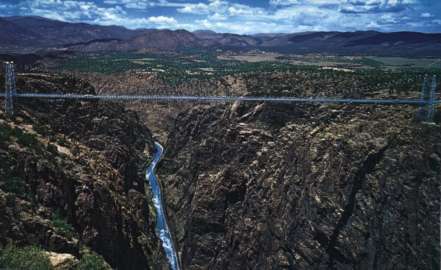 with the consideration of moving out there. 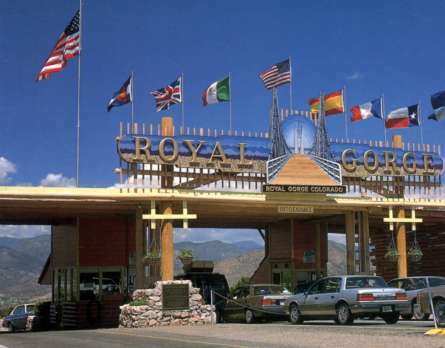 No pictures except for these postcards of the Royal Gorge area. 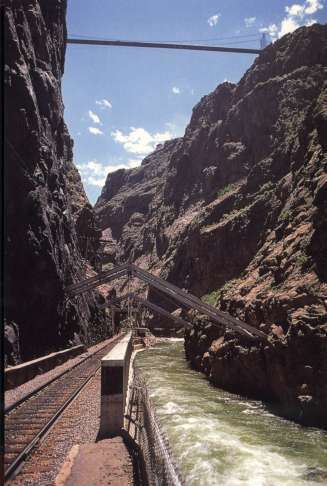 to carry the railroad tracks over the Arkansas River at the narrowest point in the Royal Gorge. 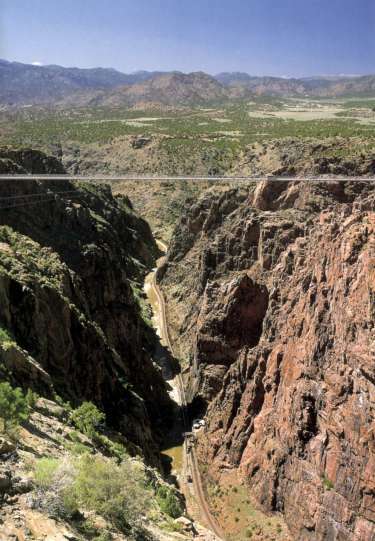 The Suspension Bridge hangs 1053 feet (321m) above the Arkansas river. 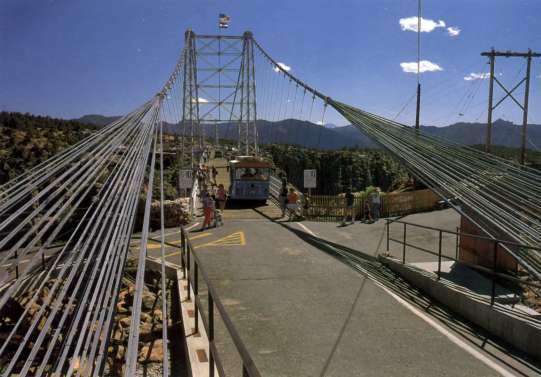 Views of the canyon and the Sangre de Cristo Mountains are offered to those driving or walking across the bridge. 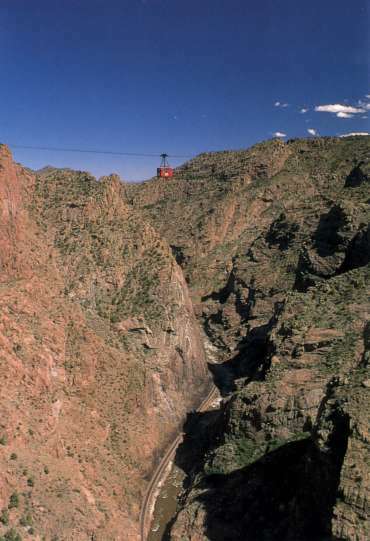 Rio Grande Train in Royal Gorge, Colorado. 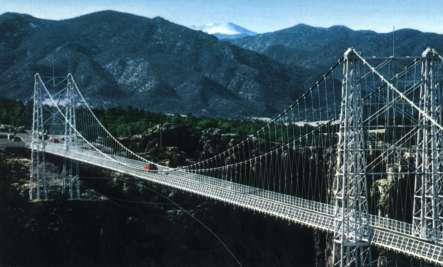 "And The World's Highest Suspension Bridge"
along the Arkansas River with the suspension bridge (1053 ft.) above. 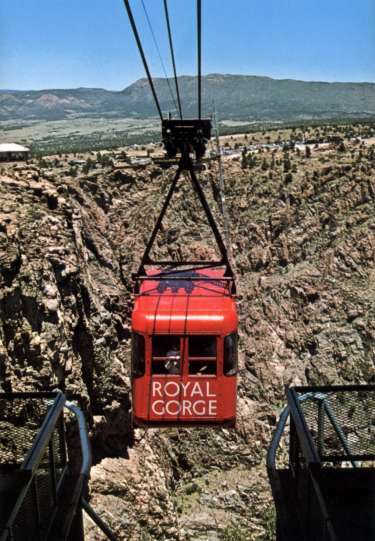 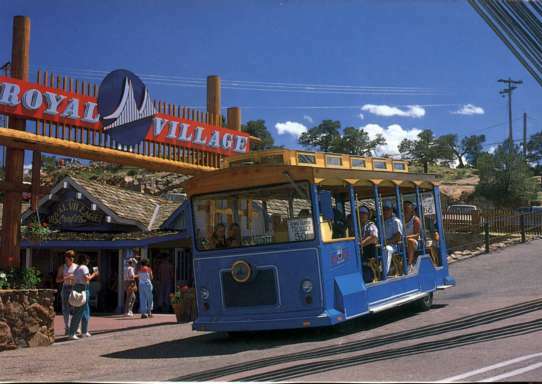 Royal Gorge is only a short distance from Canyon City. 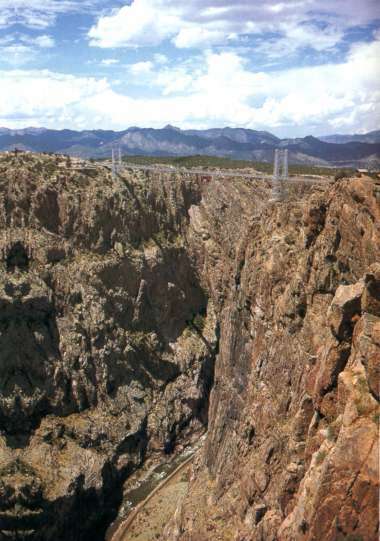 A view from Point Sublime. 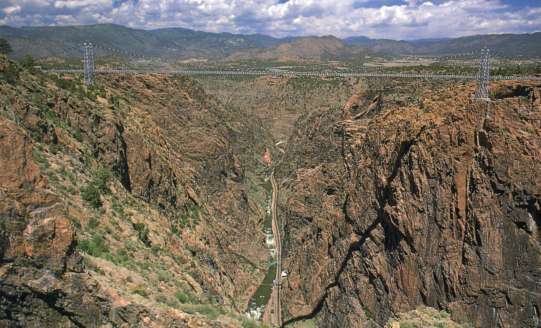 and the great chasm of the gorge with the roaring waters of the Arkansas River below. 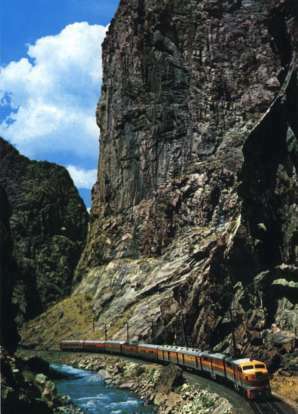 Inclined railroad brings passengers to the base of the canyon. 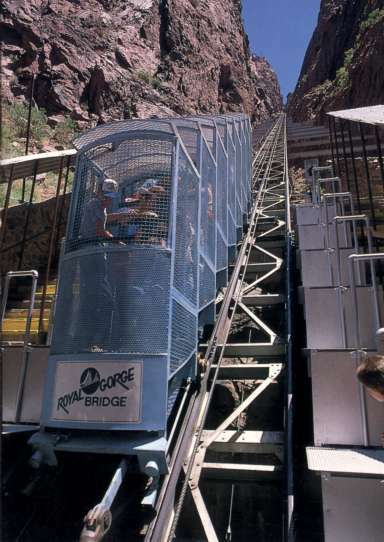 I walked across the bridge and then took the cable car back.